“We are very happy with the decision of the British Film Institute to celebrate 100 years of cinema with Satyajit Roy’s 19 works.”This reaction is symptomatic of a general opinion among the cinema lovers. “By screening his pictures,the youngsters will have the opportunity to know about his insight into the works of a legend”,said Shruti Biswas,a school teacher. Reports said that the Academy of Motion Picture Arts and Sciences amalgamated with British Film Institute(BFI) is set to celebrate hundred years of Indian Cinema next month in US. The celebration is to be marked by “Unlocking the Golden Fortress : Satyajit Ray Restored” – a retrospective of films of Satyajit Ray. This aims to present the maestro’s creation before the present generation. Preserved and restored by the Academy, new prints of ‘Apu Trilogy’ will be among the nineteen of Ray’s films from the Academy Film Archive’s collection that will be screened at Samuel Goldwyn Theater in Beverly Hills. Though Sandip Ray, Satyajit Ray’s son will not be able to visit London, actress Sharmila Tagore, who debuted in ‘Apur Sansar’ and Dilip Basu, founding Director of the Satyajit Ray Film and Study Center Collection, California are expected to be a part of this August occasion, reports say. An exhibition of posters conceptualized and designed by Ray will also be presented by the Satyajit Ray Society and BFI, said Arup De, CEO of Kolkata based Satyajit Ray Society. 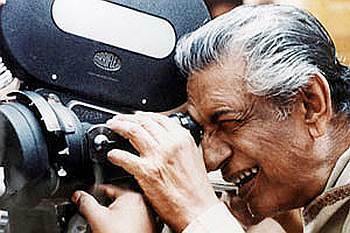 Satyajit Ray, one of the greatest auteurs of World Cinema was honoured with the Oscar Statuette in 1992.